This is the eighteenth movie in my Ridley Scott retrospective. Kingdom of Heaven disappointed me greatly when it was first released. I saw it in a press screening and had very little positive to say about it when I had to write my review. The movie was overlong, boring, devoid of logic and ammunition for the gun that was pointed at Ridley Scott’s head for not making those masterpieces we were used to seeing from him. I dismissed Kingdom of Heaven completely and vowed never to spend another minute on it. To my huge surprise, a friend of mine, whose judgement I totally trust and who was not a fan of the Theatrical Cut, told me to check out the Director’s Cut. Of course I hesitated, because how could a movie that was already too long get better in an even longer form. Well, Mr. Scott managed to do it. Scott has been known to go back to his movies and tinker with them. Sometimes with great success—like Blade Runner—and more often with dubious results—like Alien, Gladiator— although those last two were more marketing vehicles than visions of the director. Scott has said so himself. And on top of that there have been so many useless Director’s Cuts, Unrated Cuts and so forth in recent years that my misgivings were justified, I think. But with the endorsement from my friend in the back of my head I reluctantly decided to scrunch up a copy of Kingdom of Heaven, the Director’s Cut. And I am so glad I did, because the Director’s Cut is so much better than the original. At more than three hours it is approximately forty-five minutes longer than the original release. Entire sequences are returned to the movie and several scenes are expanded on by inserting more dialogue to create a more complete picture of the motivations that drive these characters. It is truly stunning to see how different the two versions are from each other. The entire movie flows much better and is far more intelligent than what we saw before. It goes to show that sometimes the auteur really knows what’s better for his movie than the executive who stares at demographics and scorecards all day. Scott is a director who doesn’t stick his doubts about religion and the trouble that can come from it under the table. In the Theatrical Cut of Kingdom of Heaven this sentiment was swept under the rug to create a movie that more resembled Gladiator, a movie that was more about a personal journey than the big picture. In the Director’s Cut Scott’s beef with religion and the juxtaposition with science is much more prevalent. Scott’s oecumenical approach to religion is one I can certainly ascribe to. I am myself of no faith, but I do not condemn others for having faith in a higher power. That is what Scott wants to convey with this movie. Love thy neighbor, as the Bible says. Another thing that returns a lot in Scott’s movies is the fanatical approach to religion and the way in which this has ruined so many lives. As the hospitaler says, played by David Thewlis, “I have seen religion in the eyes of too many murderers.” A very timely theme. Kingdom of Heaven is now one of my favorite movies. I don’t watch it all that much, but when I do I get totally swept up in it, even though Orlando Bloom may not be the best actor out there, this is one of his better performances. The enormous congregation of fine actors, such as Edward Norton, Brendan Gleeson, Liam Neeson, Jeremy Irons, Eva Green, Ulrich Thomsen, Alexander Siddig and so many others also don’t hurt Kingdom of Heaven one bit. This is the thirteenth movie in my Ridley Scott retrospective. After the Oscar-winning spectacle of Gladiator and the largely panned sequel to The Silence of the Lambs, Hannibal, Ridley Scott agreed to take on the considerable task of filming the adaptation of Mark Bowden’s non-fiction book Black Hawk Down: a Story of Modern War. Scott’s movies had up to that point always been firmly rooted in the realm of make-believe (technically White Squall was based on true events, but that felt more like an adventure movie). Black Hawk Down would be his first movie based on an event that everybody remembered vividly from seeing that American soldier being dragged through the streets of Mogadishu. It was a gamble to put such a visually inclined director in charge of a story this sensitive. The gamble, however, paid off. Black Hawk Down is a stunning movie about the devastating consequences of war and the toll it takes on the lives of young and old soldiers alike. For those who don’t know, Black Hawk Down is based on the events that occurred on October 3 and 4 on the streets of Mogadishu. While on a mission to capture dictator Aidid, an American Black Hawk helicopter is shot down. It crashes and the crew is in grave danger. The soldiers who are on their mission elsewhere in the city are reassigned to the crash site to defend the downed helicopter, while being attacked by hundreds of Somalian militia soldiers. The events that follow will take every last bit of comradery, expertise and bravery from these soldiers. Scott is not often described as a compassionate director. He often lets the characters and the audience figure out for themselves what they have to think about each other. Not so here in Black Hawk Down. The first twenty minutes or so are there exclusively to convey some basic ideas about the situation. It is pretty clear that Scott wants to tell us that the Somalians are also victims in this situation, because our main character (Josh Hartnett) happens to think so. There a lot more of these moments to get us on board with Scott’s intentions for Black Hawk Down. Of course, this introductory sequence is also used to explain the geographical situation in and around Mogadishu and the relationship between all the soldiers. This groundwork is needed badly, because when we’re in the thick of it, there is hardly any time to figure out where we are and who we are looking at. Controversial was Scott’s choice to put the names of the characters on the helmets. This does not happen in real life, but was certainly necessary for us to keep track of everybody. 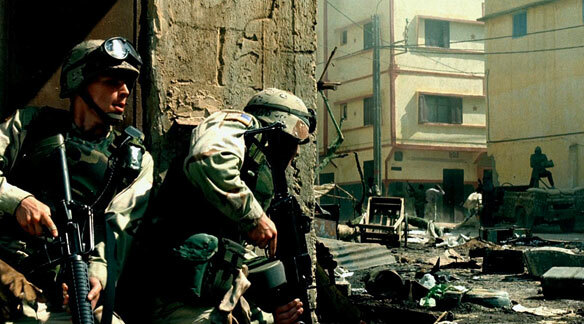 After these first twenty minutes the mission commences and that’s when Black Hawk Down starts to really shine. This is no-holds-barred balls-to-the-wall movie warfare. This is as close as us non-soldiers will ever come to being in a war. What Spielberg’s Saving Private Ryan did for our perception of the invasion in Normandy, Black Hawk Down does for desert urban warfare. I can tell you that this is not for the faint of heart, because Scott pulls no punches when he is portraying these battles between the American troops and the Somalian militias. It is a constant barrage of gunfire, explosions, helicopters, Humvees and anything that goes into urban battle. Black Hawk Down is a veritable Who’s Who of male actors (there are no women involved here). Scott has assembled an enormous amount of talent for this story. Josh Hartnett, Ewan McGregor, Eric Bana, William Fichtner, Hugh Dancy, Tom Sizemore, Sam Shepard, Jason Isaacs, Jeremy Piven are but a few names involved in Black Hawk Down. Having this many well-known faces could have been a disadvantage, but it doesn’t get in the way of the action really. Having this many good actors in one place wanting to present this story as best as they can is great for the movie. But while the American soldiers are all individualized, the Somalian population is largely represented by faceless cannon fodder. This is, however, something we see more often in American war movies or war movies in general. Platoon and the aforementioned Saving Private Ryan also didn’t really concern themselves with profiling the opposition. Black Hawk Down is therefore a movie about the plight of the American soldiers in this conflict not the population at large. Hence Scott’s explanation at the beginning of the movie about them being victims as well. As expected, Scott does not skimp on the enormity of the situation. While this is an intimate story about soldiers being hunted in a hostile environment, Scott paints this harrowing story against a backdrop that is worthy of any huge action movie. This is probably where the influence of producer Jerry Bruckheimer comes into play. Scott has the ability to create incredible worlds with modest budgets, so given the considerably large budget for Black Hawk Down (about $92 million) it is not surprising it looks this good. The sound is truly breathtaking and worthy of the Oscars it received. Polish cinematographer Slawomir Idziak shot the whole thing in astonishing detail. With Black Hawk Down Scott has made his most daring movie yet. Handling a story like this as if it were a Call of Duty videogame and infusing these adrenaline-fueled circumstances with all this humanity and characterization is the mark of a great director. It ranks among Scott’s best movies. This is the twelfth movie in my Ridley Scott retrospective. Gladiator is one of those movies, like for example Titanic and American Beauty, that people have turned against for some reason. I don’t know what it is, but it seems to be cool nowadays to go against the grain just for the sake of it. I am not one of those people. 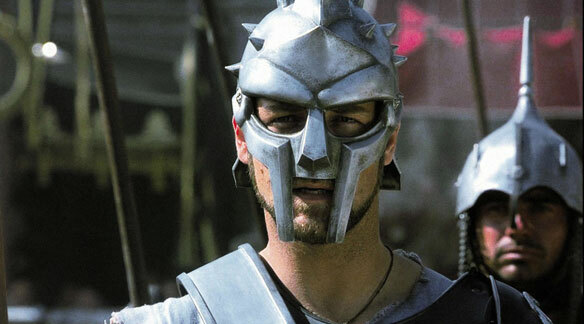 I loved Gladiator when it was released back in 2000 and I love it now, twelve years later. This is a very powerful piece of film making. 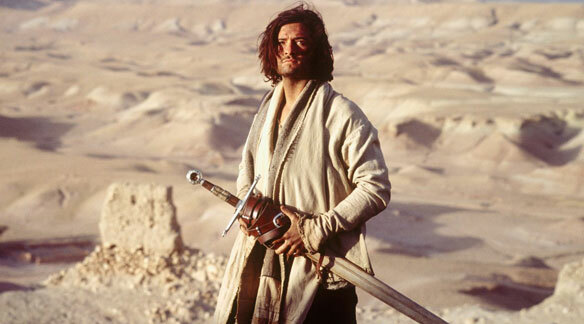 The very thought of a sword and sandal epic was outrageous before Gladiator was released. Few had tried in the years since Cleopatra and just about all had failed. Ridley Scott poured the stuffy Ben-Hur-type movie into the shell of a modern action drama. With the help of state-of-the-art visual and digital effects he kept the cost relatively low and created exhilarating setpieces that continue to thrill to this day. From the opening scenes on the battlefield of Germania to the gladiatorial training in Morocco and the climatic battles in the Colloseum, it is all arranged, shot and directed to perfection. Scott decided to go with a gritty realism that we were not accustomed with in this genre. The fights are incredibly brutal and show us a glimmer of what these fights perhaps were back in the day. They probably were a lot more brutal than what Scott shows us. Underneath all this brutality lies a touching story about a man who really wants nothing more than to go home. Just like Tom Hanks in Saving Private Ryan, Maximus is a man who rose to the call of duty, but now he is tired and he wants to go back to his wife and son. He doesn’t crave power, although he gets it handed to him on a silver platter. He is understandably devastated when everything he knew and loved is yanked away from him. Crowe plays Maximus with such understated intensity that it is really hard not to root for him. He is a tough character. He kills people when is asked to do so, but he also manages to rally the people around him to stand by side and fight for his plight. He wants revenge for what has been done to him more than anything. He will not fell any remorse for the death of his opponent. He is a killer and still we sit there, tears filling our eyes, when he starts his way towards his wife and child. Crowe is a master in this movie and deserves the Oscar he got fair and square. Crowe has help across the board. Joaquin Phoenix plays his opponent, a young Emperor who behaves more like a petulant child than a statesman. Connie Nielsen is his, maybe, ex-lover who wants to help him so bad, but fears for the life of her son. Richard Harris is an aging emperor who has to choose what’s best for his empire, even though this will upset the one person you don’t want to taunt. There are so many fine performances in Gladiator that it is hard to describe them all here. You just have to see it to believe it. This also counts for the brilliant sets and surroundings for the story. The way Scott has used real places and enhanced them to his liking is nothing short of astonishing. The moment Maximus and the gladiators enter the Colosseum for the first and the camera does a 360 around them at a low angle so we see all the way to the top of the arena is breathtaking to say the least. Moments like these are peppered all the way through Gladiator and I guarantee you that you won’t notice the majority of them. This way of working would pave the way for Scott’s next huge project, Kingdom of Heaven, but more on that later. Gladiator is long, but that is something we have come to expect from Scott. Most of his movies have been around or above two hours. This time this is not an issue. There is no wasted second in Gladiator. On the blu-ray there is an enhanced version that has several scenes added to it. These don’t really add anything to the story and Scott doesn’t even want these in there, because at the beginning he says to the camera that this is not the director’s cut. The only reason I can think of why you should watch that version is the commentary by Scott and Crowe together. They are really funny together and reveal tons of information about the process behind Gladiator. It is unfortunate that Gladiator’s achievement of reviving the sword-and-sandal genre hasn’t yielded a great many movies like it. We got Troy, 300 and Alexander, which were average at best, and a slew of vastly inferior movies like the wretched Clash of the Titans. It’s a shame, because this genre has the potential to provide great drama. But let’s not end on a down note. We have Gladiator and we have to be thankful for this. I love Gladiator and so should you. This is the eighth movie in my Ridley Scott retrospective. Ridley Scott always has a tendency to go a little overboard when he is making a movie with its roots in history. 1492: Conquest of Paradise is certainly a victim of this. I had not seen this epic depiction of Christopher Columbus’ iconic voyages since its first release. I was not a fan back then in 1992, but I was twenty years younger as well. I thought maybe this movie would have aged along with me and leave a better impression this time around. Unfortunately this is not the case. 1492: Conquest of Paradise is impeccably produced. Every shot is composed like a painting and truly a sight to behold thanks to the production design by Norris Spencer (Black Rain) and camera work by Adrian Biddle (Aliens). But, as is often the case with paintings, this movie has no movement in it. For nearly two and a half hours we are presented with scene after scene with seemingly important information and situations, but it never resonates as a whole. It just gets really tedious after a while. For a movie to keep moving you need something or someone to latch on to. 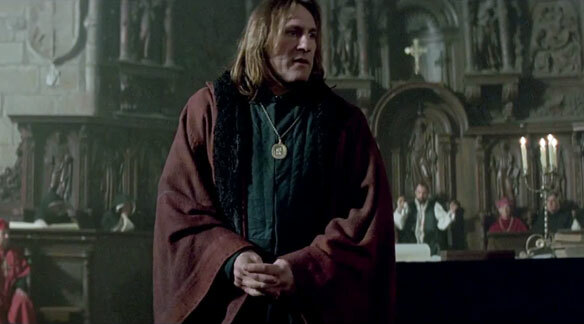 That someone should have been Depardieu, who plays Columbus, but he is visibly struggling with this role. Physically he is up to the task, but the English lines he utters are about as convincing as a toddler reciting Shakespeare. It is endearing at first, but it gets on your nerves really quick. There are some stirring scenes in this epic failure. When 1492 gets it right it gets it really right. Regrettably this occurs way too little. I advise everybody to leave this for what it is and go watch Gladiator or the director’s cut of Kingdom of Heaven. At least you get some spectacle out of those epics. A movie about Sarah Palin, surely one of the most maligned AND beloved figures in politics, made by HBO can in no way be objective, right? Think again. 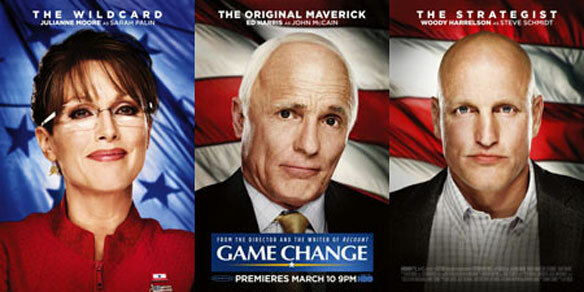 Game Change is for the most part just that, a surprisingly objective look at the person who is Sarah Palin instead of the caricature that was shown all over the left wing liberal elitist media (sorry, had to do that). In Game Change we start at the end. Political Strategist Steve Schmidt (played by Woody Harrelson) is being interviewed by Anderson Cooper. When the question whether he would choose Palin again as a running mate Schmidt turns his head and descends into a pit full of bile at the thought of Palin. We immediately get the feeling that this is going to be a Palin-bashing party. This is not the case. We see the McCain campaign struggling to keep up with Obama, who is profiling himself as a superstar more than a politician (or at least his campaign does). The decision is made to go the same direction. Shock and Awe is what they are going for. With only a few days to vet a running mate the choice falls on Sarah Palin, governor of Alaska (campaign manager Rick Davis finds her on YouTube, go figure). Although there are doubts about Palin’s abilities to present herself as a knowledgeable politician they go forth with her. This is where the movie could have gone the subjective route, but it chooses to present Palin in a much more favorable light then expected. We see her as a person who is clearly way out of her league here. What at first comes across as the behavior of a petulant child who wants to get her way starts to present itself as a defense mechanism to preserve herself in this cutthroat environment (she thought Alaska was rough). This building of a wall around her starts to drive her staff insane. They cannot get through to her, which results for example in the infamous interview with Katie Couric, in which she admits to reading ALL of the publications. Every measure is taken to bring Palin into the fold and it is when she finally hits her stride (too little, too late, as it turned out) we start to see the incredibly radical self-centered figure she has become. It is an interesting journey for a person. I have no love for Sarah Palin. I think she is a person that has no business being in politics at the level where she is, be it as a running mate or instigating pundit for Fox News that she is now. 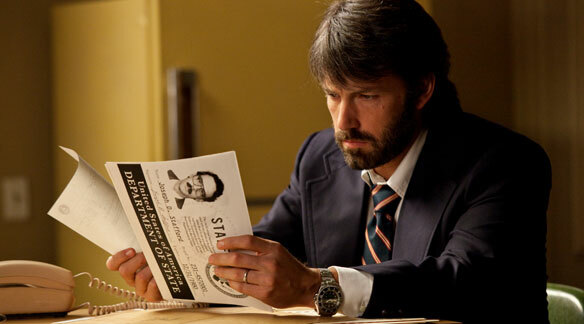 Jay Roach’s Game Change has actually changed my perception somewhat of Palin. While the movie is really about Steve Schmidt’s journey, it is very much Julianne Moore’s portrayal of Palin that takes center stage, as the real Palin would have stolen the spotlight as well. Moore shows Palin as a real person with feelings of regret, home sickness, grief and anger. This is a surprise, because seeing as this movie is very much a product of the liberal camp you wouldn’t expect a balanced performance like this. The same counts for Ed Harris, who plays Senator John McCain expertly with all the maverick idiosyncrasies that go with him. It was also a surprise to hear that McCain wanted nothing to do with Palin during the campaign. That is not how I envisioned two people on a ticket to behave, but there is probably a lot I can still learn about American politics. Much of what happens in Game Change seems too absurd to be true, but the makers ensure us that everything in this picture has been verified ad infinitum. I’m sure some liberties have been taken to dramatize some of the situations, but the insurance that it should be all true makes the movie all the more dramatic. This was certainly not something that should have happened, even in American politics. Sarah Palin had no knowledge whatsoever about the world she was about to (sort of) rule. She would have ruled from a pure gut feeling with a lot of her religious extremism mixed in. This is not a good position to govern a country from. What Game Change shows us is that no matter how much charisma you have, you also need a lot of knowledge to be a leader. Let’s not forget this in this election year.